A single management platform to provision Active Directory users, associated Skype for Business / Lync accounts, devices and specific objects (response or pick-up groups, private lines, meeting rooms…). 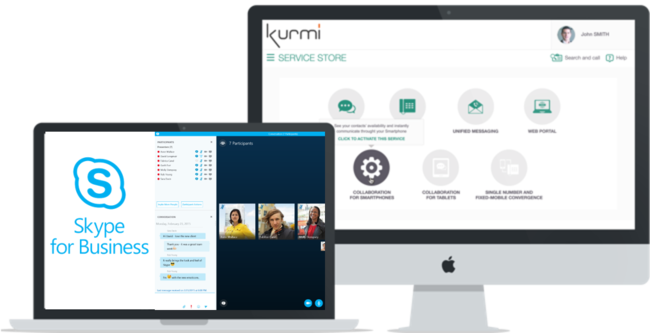 While simplifying and automating Skype for Business operations, Kurmi enables to delegate day-to-day management to non-expert profiles (local administrators, helpdesk agents, HR assistants…). A single administration platform to manage seamlessly your end-users and their services on Skype for Business server, online (or Office 365). 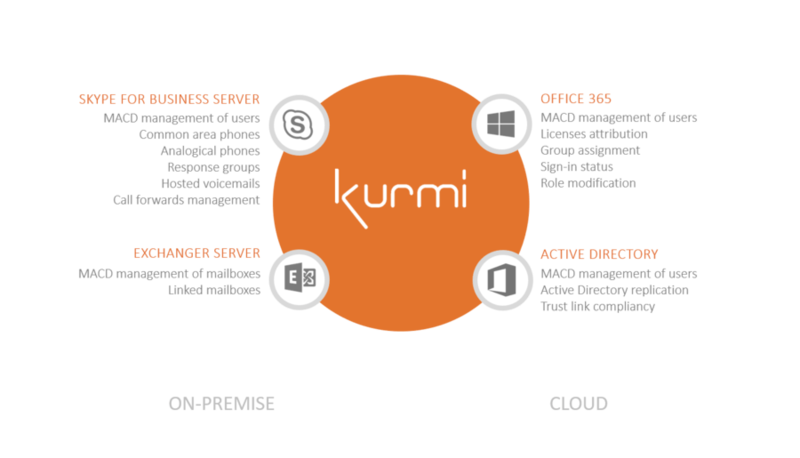 Kurmi provides enterprises and Microsoft Partners with a single platform to smoothly migrate users from legacy UC to Skype for Business. Kurmi extracts the data from your legacy environment, normalize it and load it into the Skype for Business environment with no rush. Managing and maintaining phone numbers on Skype for Business environment is complex and time-consuming. It often requires a mix of spreadsheets and Powershell scripts, which is error-prone, even more, when you have to collaborate within your operations team. Kurmi provides a real-time overview of your dial-plan. Your operations team can easily assign available numbers, with no risk of allocation mistakes. Your Microsoft experts should be focused on new projects and not everyday requests tickets. 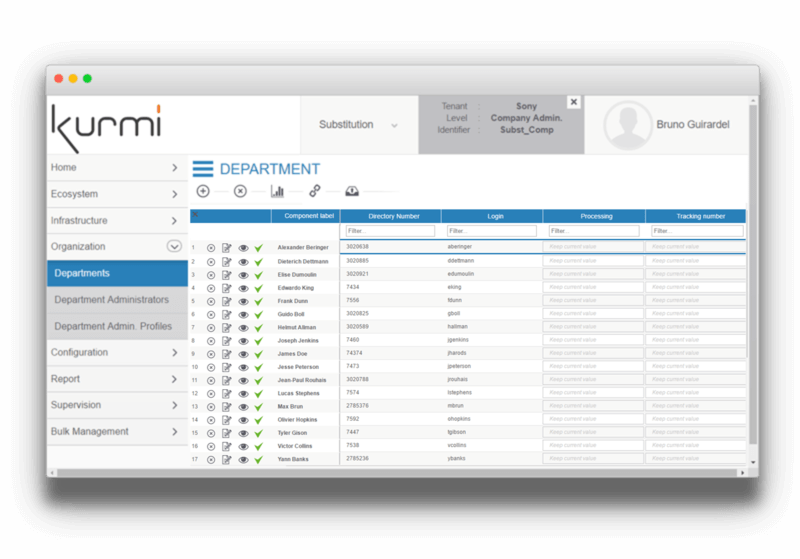 With Kurmi, you can delegate day-to-day operations to non-technical staff such as helpdesk, local administrators, or HR assistants. Advanced delegation features (role-based access control), as well as rollback and scheduling capabilities, enable you to simplify the setup and monitoring of your teams, with no compromise on security. Deploying or updating a site often requires a time-consuming and error-prone data collection process with spreadsheets. Kurmi provides all the tools to perform bulk changes directly on the platform: bulk files, integrated spreadsheet or aggregated forms. 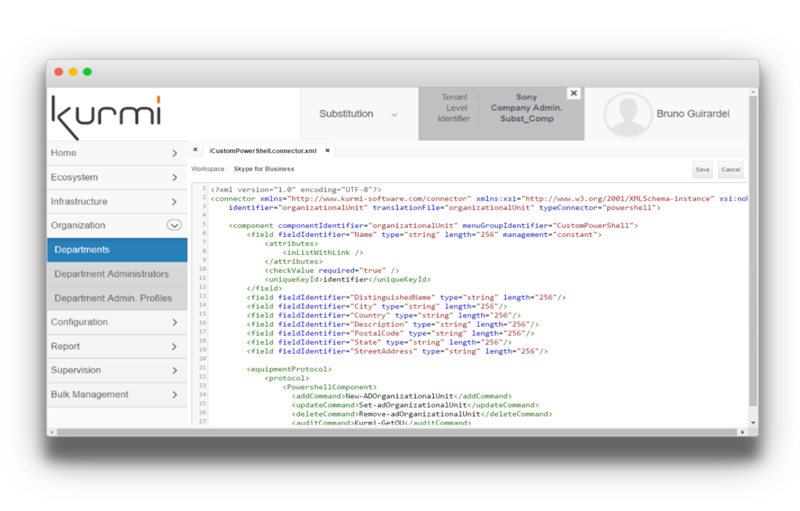 Thanks to Kurmi, administrators will be able to export data, consolidate them and import them again in the application. Easily integrate or trigger your own Powershell scripts into Kurmi to provide to your non-expert administrators a straightforward user-friendly GUI. So that you can easily delegate your low-value operations to non-technical profiles (helpdesk or HR for example) and let your Microsoft experts focus on new projects and services. Managing users on Skype for Business “on-premise” and S4B Online requires to use two administration tools which are not integrated at all. Kurmi enables to unify the provisioning and day-to-day administration of your “on-prem” and Online users. You can migrate users from an environment to another in a few clicks and keep a consolidated overview of your user base. Polycom is clearly a preferred choice when it comes to provide desk phones to Skype for Business / Microsoft users. However, Polycom endpoints provisioning requires an expert to create XML files and transfer it via FTP. 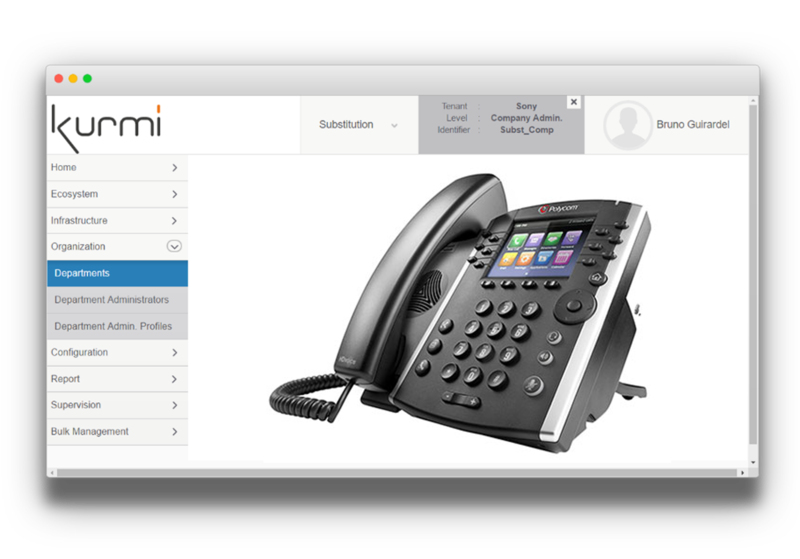 With Kurmi, you are one click away from provisioning your Polycom phones: XML file and transfer are fully automated. They trust Kurmi to manage their Skype for Business infrastructure! Create user profile templates by function and/or sites to achieve “one-click” provisioning on your Skype for Business / Lync infrastructure. Assign administration duties to non-expert staff (such Helpdesk or HR). Your Microsoft experts can now focus on new projects and value-added tasks. Synchronise your Active Directory with Kurmi to automate new-user provisioning on your S4B / Lync systems. All MACD (Moves, Adds, Changes, Deletes) operations can be grouped and scheduled to be performed at a later date and time. Access in real time the available numbers of your DN pools across multiple locations or S4B / Lync clusters. 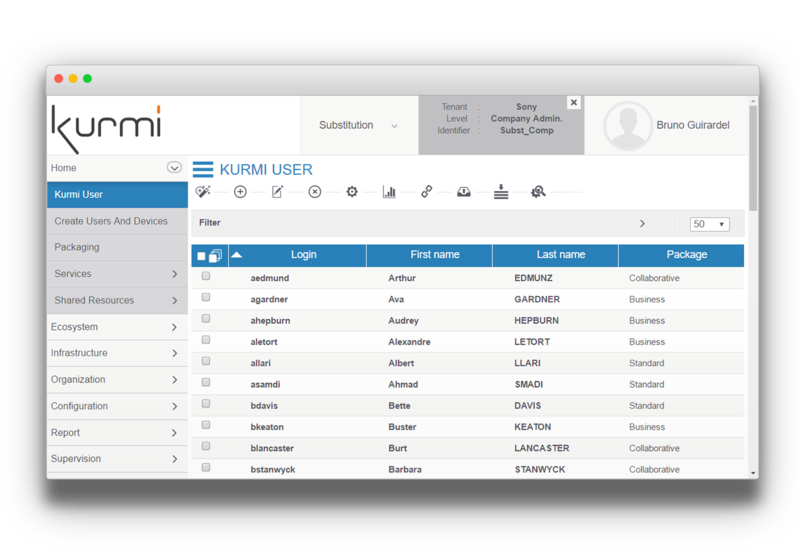 Easily integrate ServiceNow, Workday, or any ITSM applications with Kurmi to automate your MACD workflows. Need to make a change to all users of a single site? 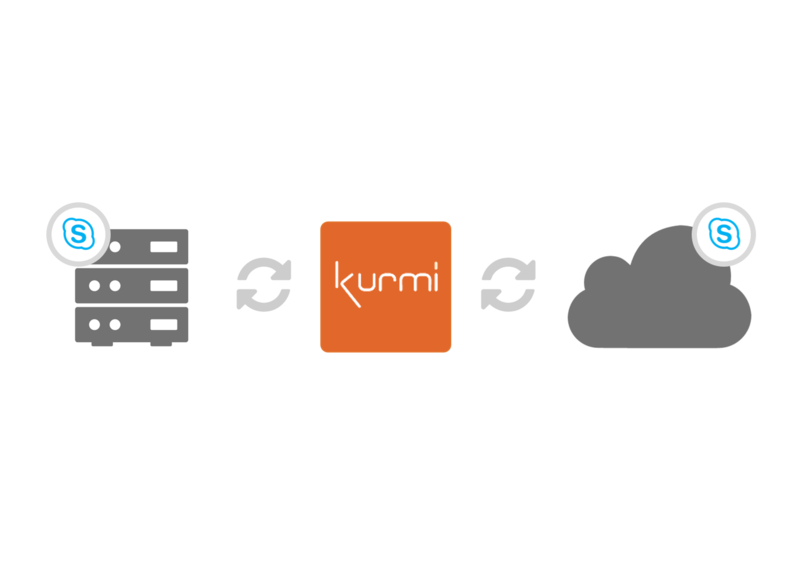 Kurmi enables you to easily perform bulk changes to your users on your S4B / Lync Suite. Monitor the operations performed by your team and revert any action when necessary. 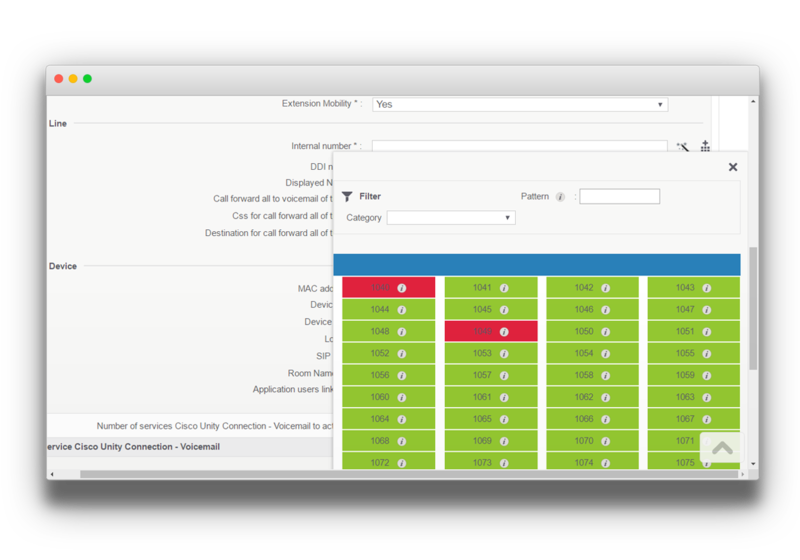 Kurmi automatically discovers the configuration (users, lines, devices, services, settings) to give you an overview of your Unified Communications infrastructure.